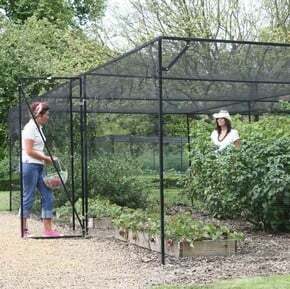 Exclusive range, designed and manufactured in the UK using high quality materials, superb protection for fruit bushes and plants. All made from superior quality galvanised steel, non rusting aluminium and sturdy timber, perfect for all your fruit and vegetable growing needs. 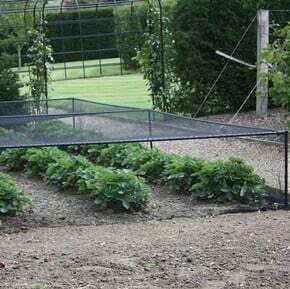 Our market leading fruit and vegetable cages are available in a wide range of sizes to suit all gardens; designed to protect your precious fruit and vegetables from birds and other animals. 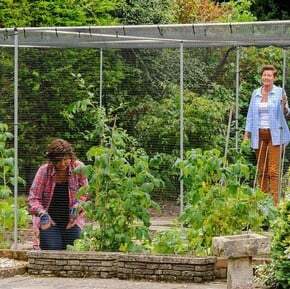 Our best-selling Steel Fruit Cages are manufactured using high quality UK sourced thick 25mm square steel section which is galvanised inside and out. The framework is then high temperature powder coated for a weatherproof finish and comes with a 10 year guarantee. 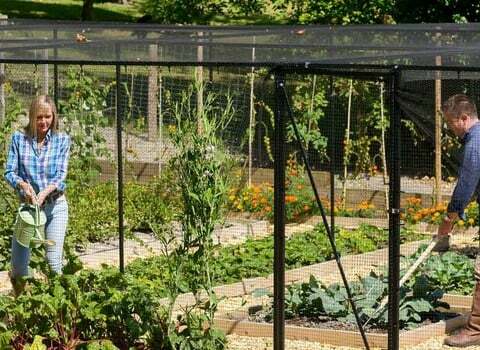 Our steel fruit cages are also available in a range of decorative versions including a peaked roof, dome roof, pyramid roof and even a pavilion style fruit cage making a real statement in the kitchen garden. The Aluminium Fruit Cages also come with a 10 year guarantee and are made using extra strength 25mm diameter non-rusting aluminium tubing. Both our steel and aluminium cages are supplied with high quality 16mm mesh cage side netting and 20mm diamond mesh roof netting for superior crop protection. The fruit cages come with a cage door as standard and all the necessary fixings. We can also offer a bespoke design service for our steel and aluminium cages which is perfect if your cage is on a sloping site or if you want a non-standard size cage. 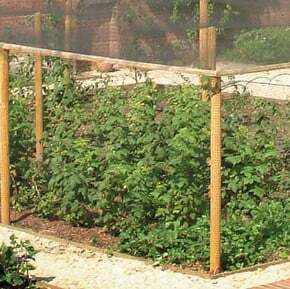 Our Timber Fruit Cages are ideal if you are looking for a more rustic cage to protect your fruit and vegetable plants. These strong and sturdy cages have a more natural look in the garden and are available in a range of sizes. 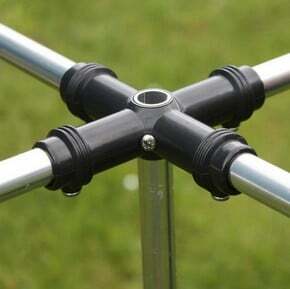 The Vegetable Cages, Strawberry Cages and Build Your Own Cages all use strong, corrosion resistant aluminium tubing, available in natural or matt black finish. Our Award Winning Slot & Lock Connectors complete the framework, securing the aluminium tubing in place creating a strong, stable framework which offers great plant protection with the supplied high quality netting. 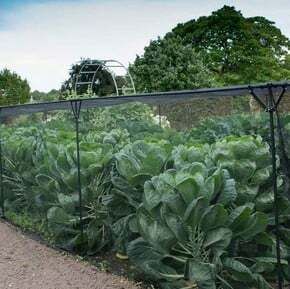 From our top of the range steel and walk-in aluminium cages to our practical slot & lock vegetable cages, you will find the perfect crop protection solution for your garden within our comprehensive fruit and vegetable range. For more information contact us here, or give us a call on 0333 400 1500.